Railway 2.30 Lakh Recruitment 2019: Indian Railway Recruitment Board (RRB) is going to release the 2.30 Lakh posts for various Railway departments. Railway Minister Piyush Goyal has said that in the coming 2 months the official Railway Phase 1 Notification 2019 will be released on the regional RRB web pages. The RRB is going to conduct the recruitment drive on two phases. 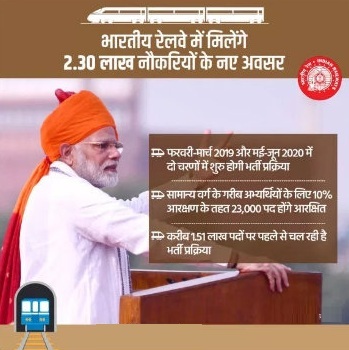 In the first phase, the Indian Railway board will hire the candidates for a total of 1,31,428 jobs and the RRB Second Phase of Recruitment will have 99,000 posts. Phase 1 will start from Feb-March 2019 & will be completed by April-May 2020. The Second Phase will start from May-June 2020 & will be completed by July-August 2021. 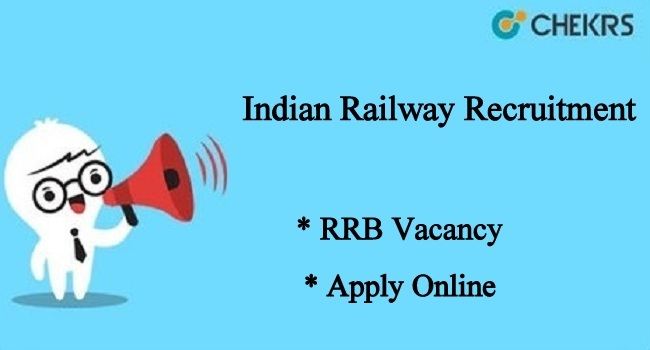 Interested & eligible candidates can check the RRB Regions Wise Vacancy 2019 & fill the application form before the last date. Aspirants can check application dates, Railway Recruitment Eligibility 2019, selection process, application procedure, pay scale, and more information in the below article. Aspirants who want to apply for Indian Railway jobs notification all need to confirm their eligibility and fill the online application form on or before the last date through the RRB official web page. The exam admits card of Railway Board will release on the official website. Aspirants who have submitted the application form those can get the Railway Recruitment Exam Hall Ticket 2019. Candidates will get the written examination hall ticket 10 to 15 days before the test. Applicants by using the application number, date of birth or password can download the exam admit card. The RRB Exam Admit Card will contain details like application number, hall ticket number, exam date, test time, slot, exam center, candidate details. Railway Board authorities will not send the exam call letter hard copy by post or email. Candidates should carry the hall ticket along with a photo identity proof card such as Aadhar Card, Pan Card, Voter ID, Driving License etc. The written examination result will release within two months. Candidates who have attended the exam can check the Indian Railway Exam Result 2019 through the official website. Aspirants by using the exam hall ticket number and password can check the result through RRB official web site. Applicants who will qualify in the exam will shortlist for the next selection process. Remarks: For any doubts about Indian Railway Latest Notification 2019 cam check official notification pdf. Any doubts & query regarding the RRB notification you can place your valuable comments in the commenting section below.